All Saints will host an Open House for prospective families on Friday, January 18, 2019 at 8:30 am. Prospective families will have the opportunity to meet the administration, learn more about All Saints, tour the school, and speak to current students and parents. The school will begin taking applications for new students on this day. We hope you can join us. 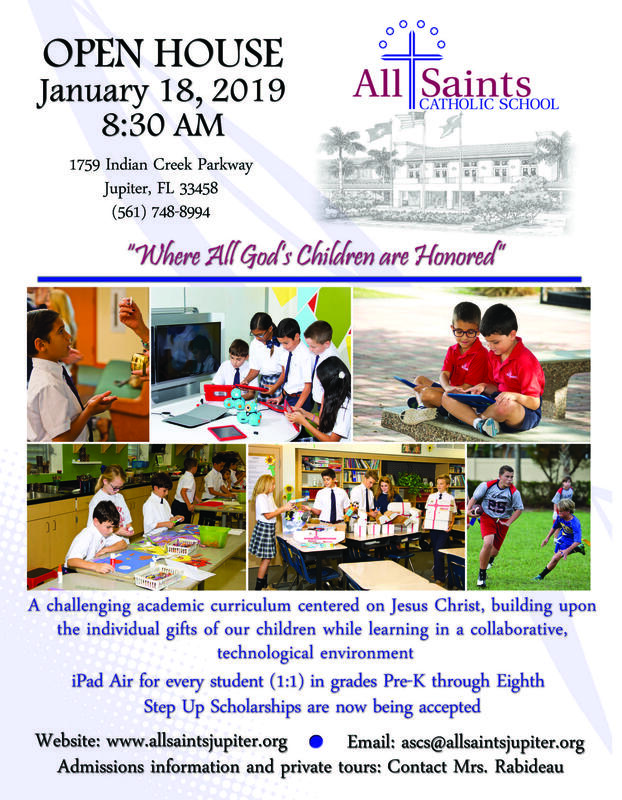 For more information, contact our Admissions Director, Patty Rabideau at prabideau@allsaintsjupiter.org or at (561) 748-8994 ext. 108.